Leaning tower in Abudhabi is also a Signature tower or Iconic tower famous for its great inclination. Italy’s Pisa tower is no more famous as the most inclined tower. It lost its fame nine years back. There are nearly 40 such inclined buildings and towers, all over the world. Abu Dhabi’s Capital Gate tower is now in the race to become the most inclined tower and all set to enter the Guinness record books. The leaning tower of ….? Hearing these words, mind automatically completes the remaining part of the sentence, by adding the word, Pisa . After repeatedly hearing and reading about the subject on leaning tower of Pisa, people normally get used to it. Amazingly, now in the world there are nearly 40 towers and buildings that have the leaning fame. 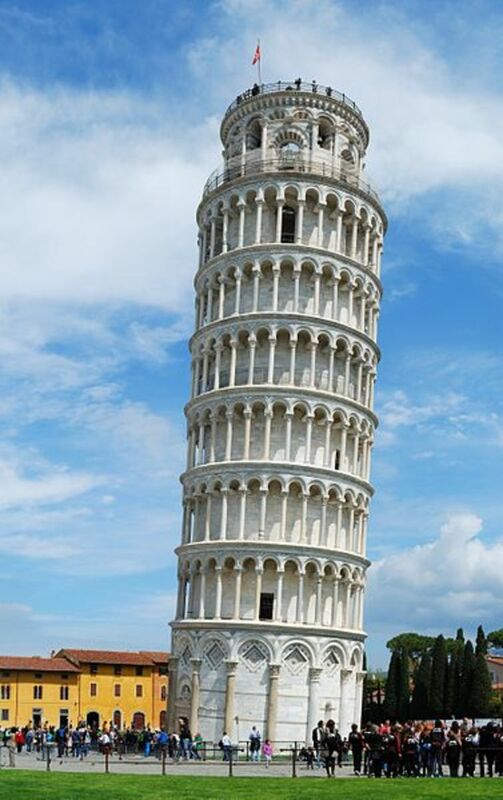 In Italy itself, there are 7 leaning structures which produce an illusion that they may fall, at any moment. 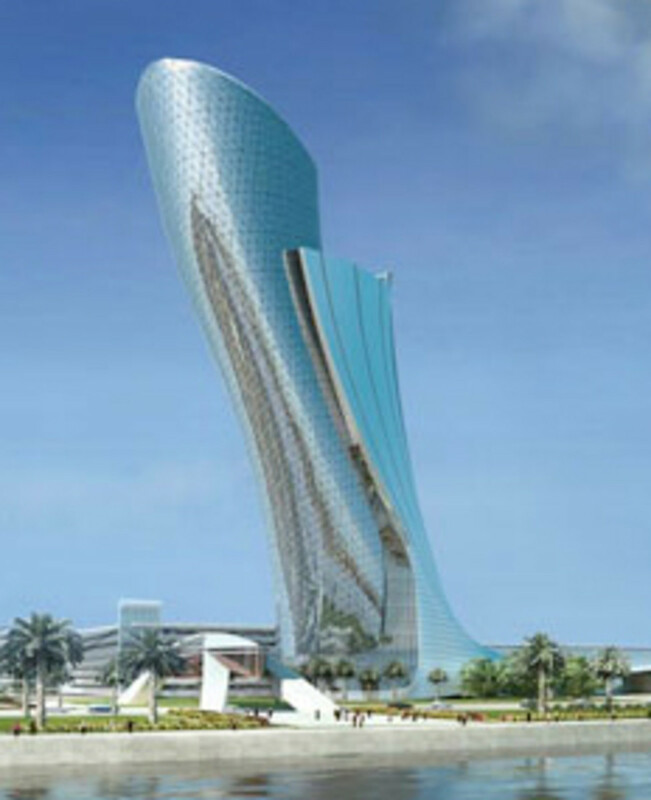 ADNEC’s Capital Gate is a 35 storeyed building, with a total height of 160 metre (525 feet). Estimated cost of construction is 2.2 billion dollars. Construction period is estimated as 2 years. And the completion date, end of 2010. Any structure constructed can stand firm and erect only when it is almost perpendicular to the ground. While building the walls of a building, plumb-bob or plummet is used so as to confirm the same. But after the completion of construction work, for some reason if the building starts leaning towards one side then danger is obvious. The collapse of the structure may also cause damage to the neighboring buildings. Surprisingly, a few of the world’s buildings that are inclined to one side have never collapsed. They stood there as famous inclined structures. Italy’s Pisa tower has lost its fame because it is currently not the most inclined tower. However, its construction was never aimed to make it look inclined. Its construction began in the year 1173, without studying the composition of the soil lying beneath it. 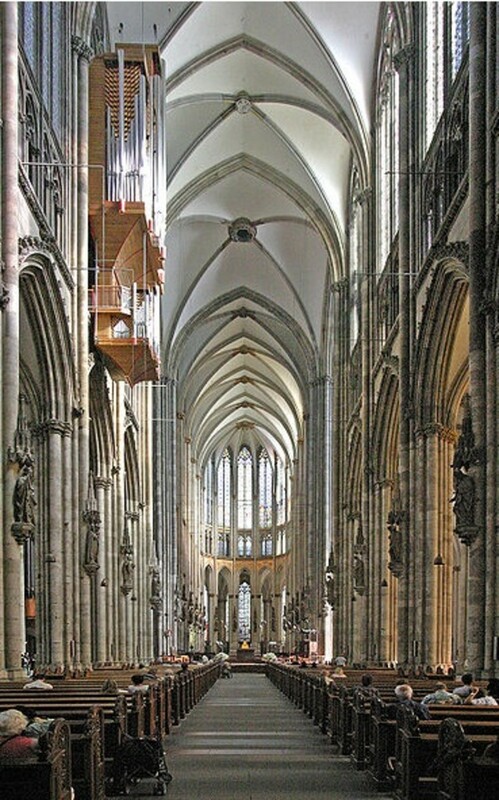 It started leaning as soon as the third floor was completed, in 1177, and the construction work was stopped. A century later, when the work was started again, engineers built the upper floors with one side taller than the other. This ultimately resulted in the tower leaning towards another direction, and now a closer look at the tower shows that it is not only leaning, but also slightly bent. Over the centuries, attempts were made to slow down the rate of its tilting, which is caused by the poor drainage of the clay soil beneath. Until 1990, it was a most famous leaning tower. It had an inclination of 6.6 degrees to the ground level. Between 1990 and 2001, the foundation was repaired. The dangerous inclination angle was reduced to 3.99 degrees, as a precautionary measure to stop the tower from a probable collapse. The tower was so famous that even the inclined letters were called italics. Almost all word processors have the English alphabet i depicting the Pisa tower. 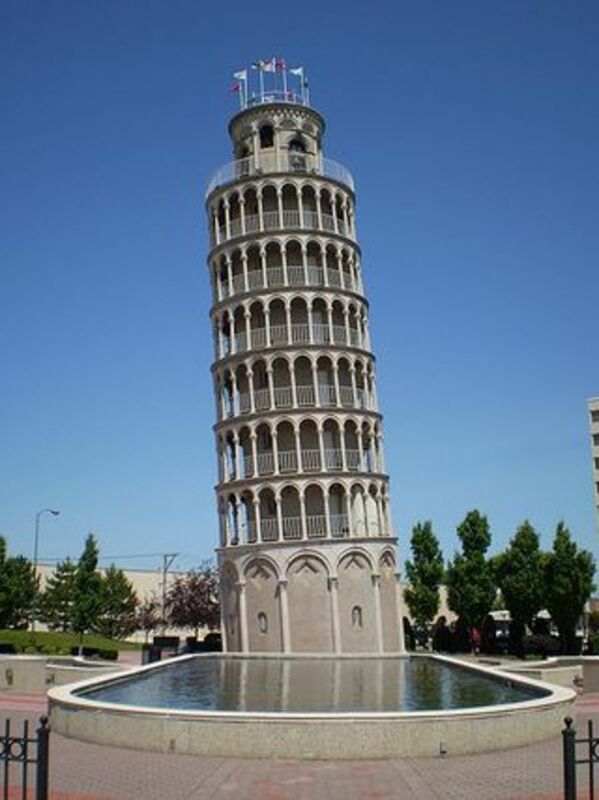 In the year 1934, after getting inspired from the leaning tower of Pisa, replica of the same was built in Illinois city of the USA. It is exactly half the size and the angle of inclination is the same as that of the tower of Pisa in Italy. 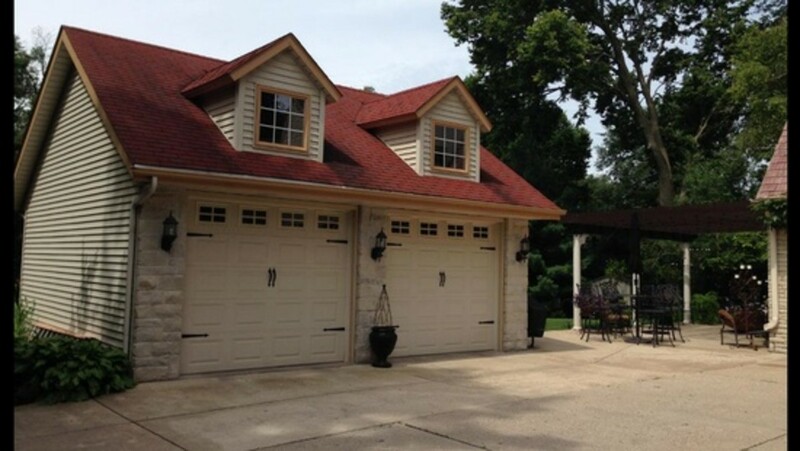 Most of the structures in the UAE have attracted the attention of the world. World’s most expensive 7 star hotel Burj-Al-Arab and the world’s tallest Burj Khalifa structure have entered the record books. The revolving building at Dubai, Island creation within the sea etc have also set new records. Similarly, the time has come to accept Capital Gate Tower as the most inclined building on earth, constructed in the capital city of UAE. Suurhusen chuch tower in Germany is currently holding the record of the most inclined tower on earth, inclined by 5.2 degrees. 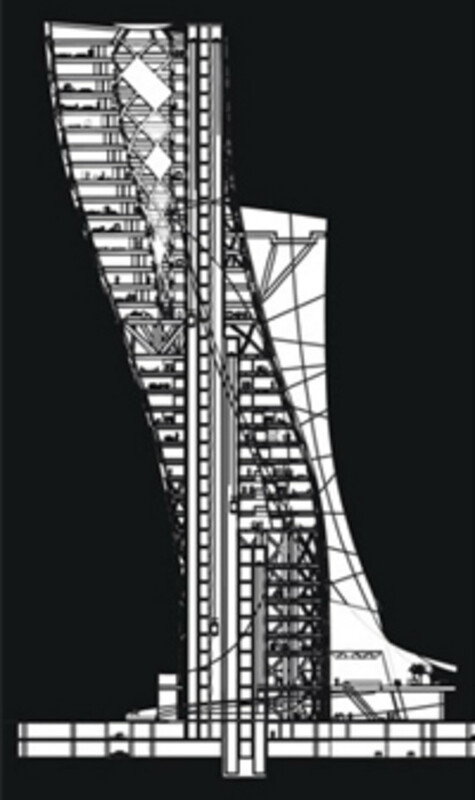 But the Abu Dhabi’s Capital Gate building is designed to be inclined, purposefully. The construction of this building has been done on the seashore. As the seashore contains more of sand content, the strength for the foundation is gained by 30 meter (nearly 100feet) steel rods vertically drilled deep into the ground. The 7 feet thick concrete laid from the ground level supports the building. Capital Gate is a gravity-defying tower. The engineers have created an 18 degree westward lean which is nearly four times the inclination on the Pisa tower, using diagrid structures that are aligned geometrically using Tekla Structures BIM (Building Information Modeling) software. Abu Dhabi’s ADNEC (Abu Dhabi National Exhibitions Company)is the building developer. Britain’s famous architectural designer company RMJM( Robert Mathew Johnson Marshall) has taken up the responsibility to construct the building. Unique posture of this tower is being constructed on top of an incredibly dense mesh of reinforced steel. The gravitational, wind and seismic pressures caused due to the lean of the building is taken over by the dense mesh that sits above an intensive distribution of 490 piles, drilled 30 metres underground. The famous building also features 728 diamond-shaped glazing panels unique and custom-made. Each pane of glass is entirely different and fitted at a slightly different angle, due to the structure's curve shape. After completion, the building accommodates a fantastic five star hotel Hyatt at Capital Centre and provides the most exclusive office space, in the city of Abu Dhabi. Hyatt has already booked the space for its luxurious hotel, from the 18th till the 35th floor. The specialty is not only limited to the inclination of the building, but also the hanging swimming pool and lounge which are at a height of 17th and 18th storey of the building, respectively. They are at a height of 263 meter from ground level. The glass panels on the outer side of the tower side of the building reflect the blue color of the sky and they shine softly creating a spectacular view to the visitors. A special coating of anti-ultraviolet stops the ultraviolet rays of the sun from entering the building and keeps the interior cool. The roof connecting this building and its main entrance is another attraction here. The bulged roof laid amidst metal rods not only gives the required shade to the visitors but also enhances the beauty of the structure. There is also a bridge constructed connecting the Capital Tower with other buildings closer to it. The folding solar panels are installed within the structure to produce electricity so that it will be possible to fold them when the heat from the sun is very intense. World’s renowned industrialists and firm owners are rushing for the reservation of space for their offices, in this iconic building. CEO of ADNEC Group, Mr.Simon Horgan stated that Capital Gate would be a building that the world would always talk about, not because it surpassed another building as the world’s tallest, but because of its aesthetic splendour and technical achievement . Also, Mr.David Pringle, CEO, RMJM Asia and the Middle East added that Capital Gate would be one of a kind. 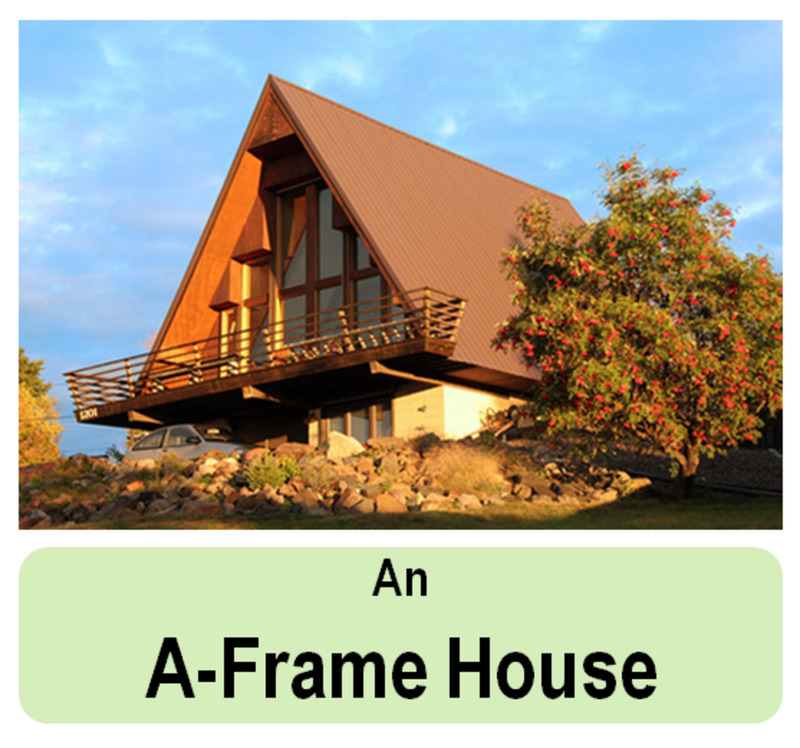 Believed to be the first building in the world to use a pre-cambered core and its asymmetric diagonal structure, known as a ‘diagrid’, is designed to support the tilting external load of the building. It is expected that the tower will form a major part of the Capital Centre development, An AED 8 billion (US$2.2 billion) business and residential micro city being constructed around the thriving Abu Dhabi National Exhibition Centre. The Capital building construction is not only the final one. This is a part of Abu Dhabi’s big project. After the construction of this building, there are 23 more to be built, the exhibition stage, boating resort in an artificial canal which will be at a distance of 2.3km from the tower. Last, but not the least, there is also a plan to construct huge shopping malls containing thousands of shops in it. The local newspapers reported on June 6th,2010, that the Capital gate tower was recognised as the "furthest-leaning man-made tower" on earth, and entered the Guinness Book of World Records. Project DWC for the Future of UAE: Al Maktoum international airport has been named after the late Sheikh Maktoum Bin Rashid Al Maktoum, the former Dubai ruler. It is all set to become the world’s largest international airport. It would be the second major international airport in Dubai. Paul Griffiths, CEO of Dubai Airports expects that future of Dubai lies in the Dubai World Central (also called DWC). Sheikh Ahmed Bin Saeed Al Maktoum the president of Dubai Civil Aviation Authority has planned for the future of Emirates economy. The emirates is spending 32 billion for the expansion work. The already constructed Al Maktoum International Airport will act as the focal point for Dubai World Central, a well planned airport city which is 23 miles outside Dubai. The 54 sq. mile airport metropolis will have the residential and commercial complexes, entertainment and leisure developments to state-of-the art cargo and air passenger facilities. The expansion work of the first phase is expected to take 6-8 years to complete. 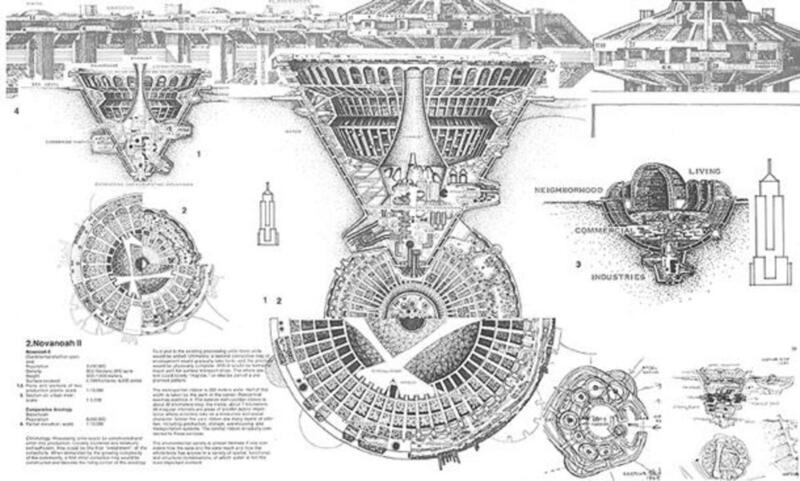 It would be able to accommodate up to 100 Airbus A380 Super jumbo jets simultaneously. Al Maktoum International Airport would be further expanded to handle up to 200 million passengers a year. By the year 2020, it is expected to support more than 322,000 jobs and account for 28 percent of Dubai's gross domestic product. As the flagship carrier, Emirates would shift its operations to the new airport; it may prompt other international airline operators in Dubai to follow suit because of business ties with the Emirates group. The UAE is now brisk paced in developmental plans as its realty market recovers. Emirates safe haven status in the unstable Middle East attracts heavy inflows of money. I was there and saw this, while I was teaching English in Abu Dhabi for a few years. In fact a lot of our conferences were held in that building. After a while I didn't seem to notice all those incredibly high, crazily designed buildings anymore. I sort of got accustomed to being surrounded by unusual things. More than anything I remember the poor souls who were actually building these 'amazing' feats of architecture. No, the picture was NOT taken at an angle. Someone chagned the angle of the part of the Tower that is above the "wrap", and the entire other building. Look carefully and you will see a 10-degree counter-clockwise "bend" in the tower right at the top of the wrapped area. This photo has not been manipulated in any way. The post is a joke, oilvousby we all know that this tower is leaning. I have looked down from the top of this tower and know first hand that it is leaning.To get this photo you have to be in the right place. The amazing thing about this photo is that from the angle it was taken the story is "almost" believable. Yes, of course, I agree with what you commented here. It was a master piece for centuries which went untouched. I agree that the Tower of Pisa no longer has this record, but allow me to observe that if we consider the period in which it was built, it certainly has a historical record that no other pruning never touch. Thank God for allowing men achieve such monumental feat. It's really WOW! Great Hub! Wow! The research! And the photos are excellent! I want to visit! This ADNEC Building is an eye-sore... Stupid in concept it is discordant with other buildings, significantly more expensive to construct and is only attempting to be a monument to an architect rather then to harmonise with nature and the environment. Is Abu Dhabi trying to out-do Dubai ??? rizwan_isria...thank you for the comment. Gulf is going to be a paradise for visitors. Everyone loves to have a company or a home there, just because of their luxurious lifestyle and beauty of the nation. Thank you, hubber-2009 for the encouraging comment.